20% off	20% off HOWICK Menswear @ House of Fraser ! More Info	Discount Code for £10 off a £50 Spend on your 1st Online Order @ House of Fraser + FREE Delivery! thanks :) used it on some xmas pressies for the mrs.
£10 off	Discount Voucher Code for £10 Off £50 spend @ House of Fraser ! Where abouts do you enter promotion code? When you click into the checkout, you can enter the code in the "Promotional code?" box in the top right. Because the order has to be over £50 when the discount come off. I made that mistakespent £51 then they take the £10 pounds off it came down to £41 then they charge delivery because its under £50. 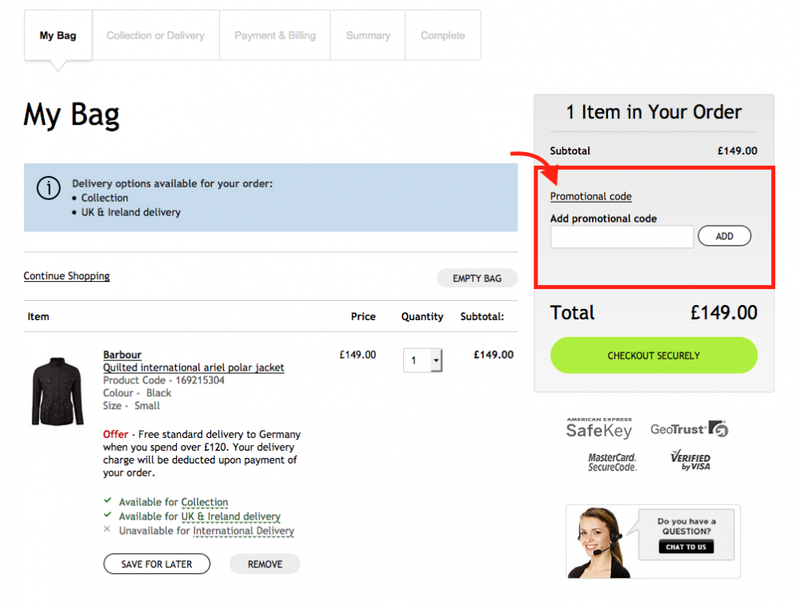 So you need to spend £60 then it will come down to £50 with the tenner off and you will get free delivery. If you get what i mean? 10% off	Discount Voucher Code for 10% Off £50 spend @House of Fraser ! How did you use this last week when its not valid until the end of this week? :? Just a little info. These vouchers were intended for use only by the people recieving them (club members or online shoppers). However I know someone who works at House of Fraser and am told that there will be no checks as to where the voucher originated, they simply want the extra custom that it may bring. Happy Days !! Has McDonald's Monopoly 10 spares been scrapped? Enter the website at www.houseoffraser.co.uk. Add the items you’d like to buy to your shopping bag. Click "Bag Summary" and then "Go to Bag". If everything is in order, click "Secure Checkout". Select the "Promotional Code" link to reveal the area to input your discount voucher or gift card code. Type in the code and press "Apply". The amount will be discounted from your order. Proceed to the check out and pay as usual. Start by navigating to their Gift Card page. Click on the type of card you’d like to buy. Choose an amount and quantity. Click "Secure Checkout" and pay in the usual way.